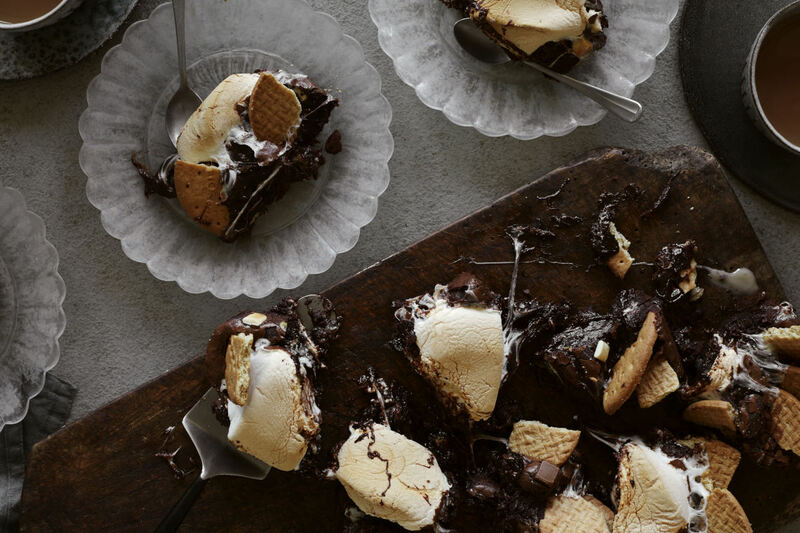 Triple Chocolate Marshmallow 'Smores' Brownies are a delicious take on the classic brownie dessert. Say it three times: one for the white chocolate, one for the milk chocolate and once more for the dark chocolate in these 'smores' brownies. This is a super sweet tray bake to share with friends and family. Each dish is designed to reflect Leisure's inspirational approach to cooking where you can have fun in the kitchen and set your inner foodie free. Say it three times: one for the white chocolate, one for the milk chocolate and once more for the dark chocolate in these 'smores' brownies. This is a super sweet tray bake to share with friends and family. Leisure range cookers offer the ideal opportunity for family baking and you can choose a colour and finish to complement your kitchen. Choose from Silver, Stainless Steel, Cream, Anthracite, Red, Blue and Black. Hassleback potatoes are a great way of serving up new potatoes that are crispy on the outside and tender within.